William Thomas Dean was born on 6 May 1877 at 31 Mew Street, Ultimo, Sydney. His parents were Thomas Dean (1845–1909) and his wife Isabella Jane (1842–1911), daughter of John McCleer and Rose Hannah Kelly. In 1912 at Redfern, he married Martha, daughter of Joseph Henry Crook and his wife Ann, née Kirkwood. It was her second marriage. She was born in 1869 and died on 2 October 1931. He died on 22 September 1938 at 84 Foveaux Street, Surry Hills, and was buried in the Anglican Cemetery at Rookwood. Prior to his election as Alderman, Dean was a Council employee for 14 years. He resigned in 1926 to become an organiser for the Federated Municipal and Shire Council Employees’ Union of Australia. 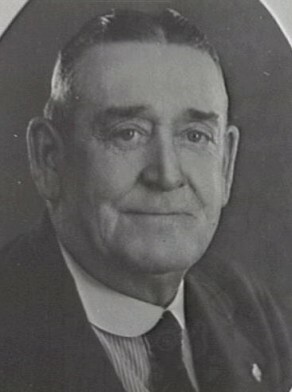 Dean was Alderman for Flinders Ward, 3 December 1934 until his death on 22 September 1938. He was a member of the Works Committee and the Health and By-Laws Committee from 1935 to 1938. He was affiliated with the State Labor party.